At a point in our lives, we may find ourselves in need to rent an apartment. Whether this will be used to live in during our academic lives, or just to live closer to work or for permanent residence, there may be an unfortunate situation where we will be forcibly evicted from the area without being notified as to why we are being evicted. This type of situation can be complained about, and will allow you to take some form of legal action once you submit an eviction complaint to the necessary agencies. To make a complaint, it is required that you have valid reasons backed up with some evidence. 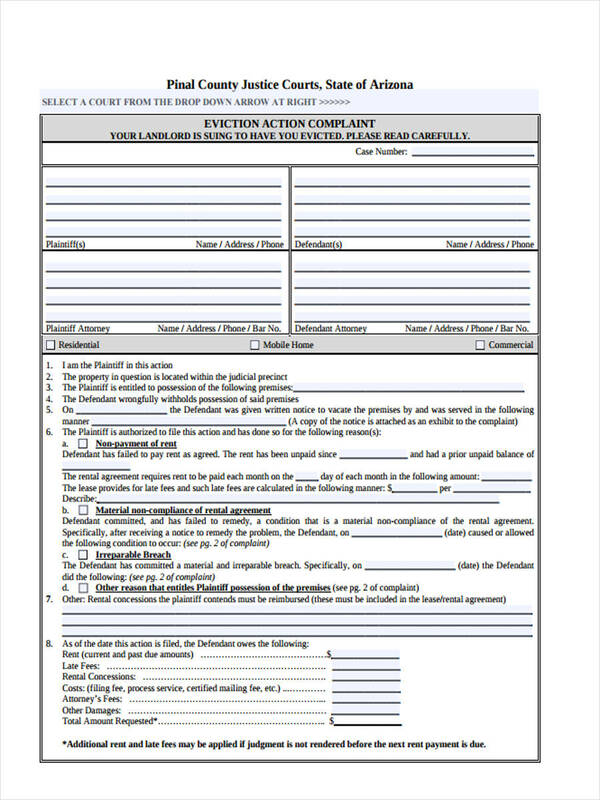 An eviction complaint actually shares a lot of similarities with a customer complaint but contains more fields to be added such as stated above that the complaint should be backed up with some amount of evidence. 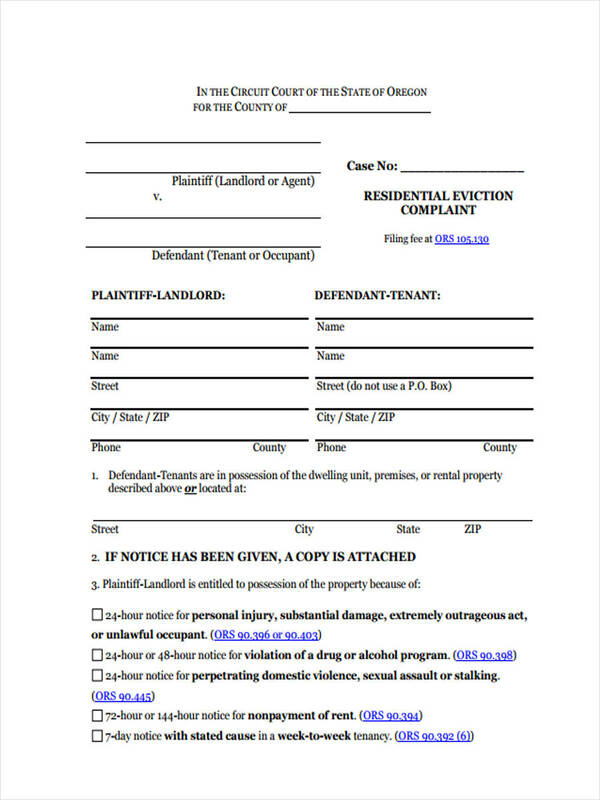 What is an Eviction Complaint? 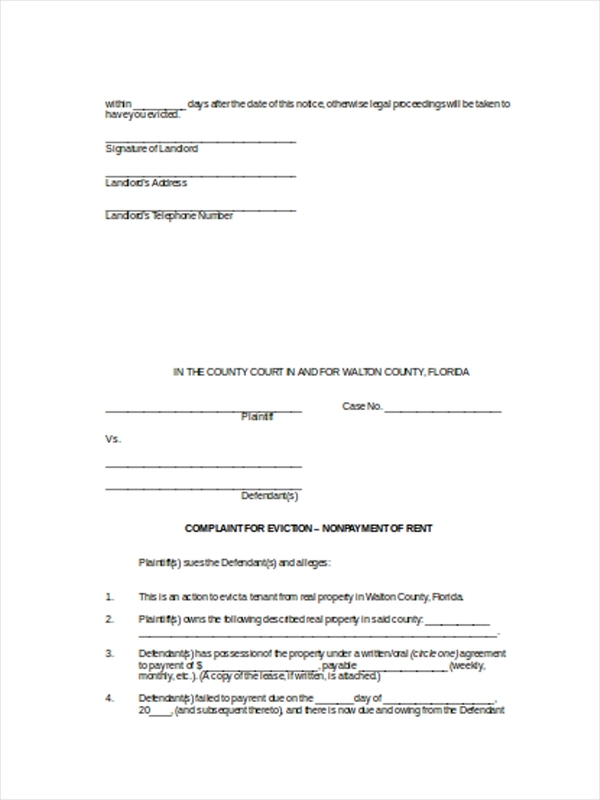 An eviction complaint is what you will submit when you are forcibly evicted or removed from an area without prior notice or any form of warning. Take note that being evicted from an area because of a person’s race, gender or even their religion can be classified as discrimination, and cannot be used as a valid reason as to why the person will be evicted from the area. If you ever are a victim of such a case, then you can submit a Discrimination Complaint Form against the land owner. 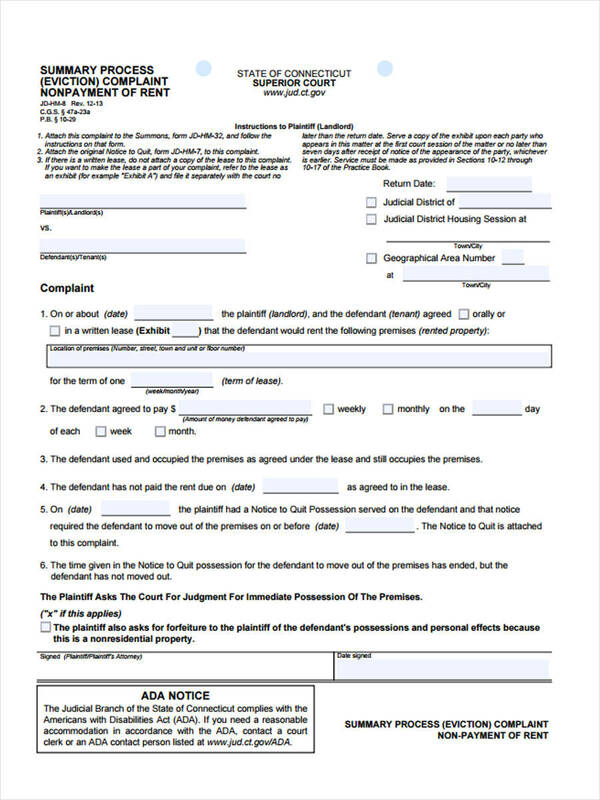 Take note that there are times were a forced eviction is allowed, but in these are cases that involve some form of illegal action, or the breaking of a certain rule or condition between landowner and tenant. The identification of the landowner and the former tenant. The date of the eviction. The location of the property the landowner uses for tenants. If you are the tenant and you have been evicted with no prior warning, than your evidence would be the fact that no warning was given. No reason was given for the eviction, and that the landowner only stated that they do not welcome your kind here. That would be considered as racial discrimination, which is proven to be illegal in terms of a hate crime. 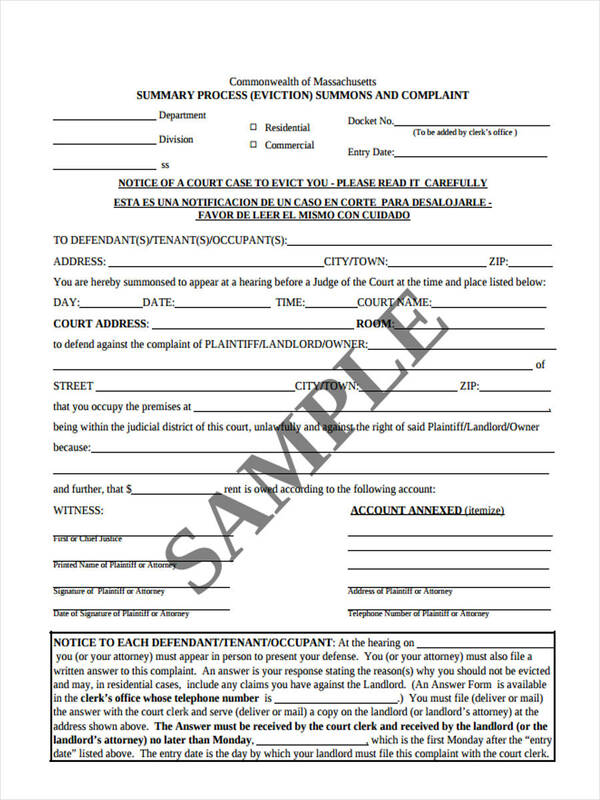 If you are the landlord, then you will need a Landlord Complaint Form where you can file your reasons as to why you wish to evict the tenant. 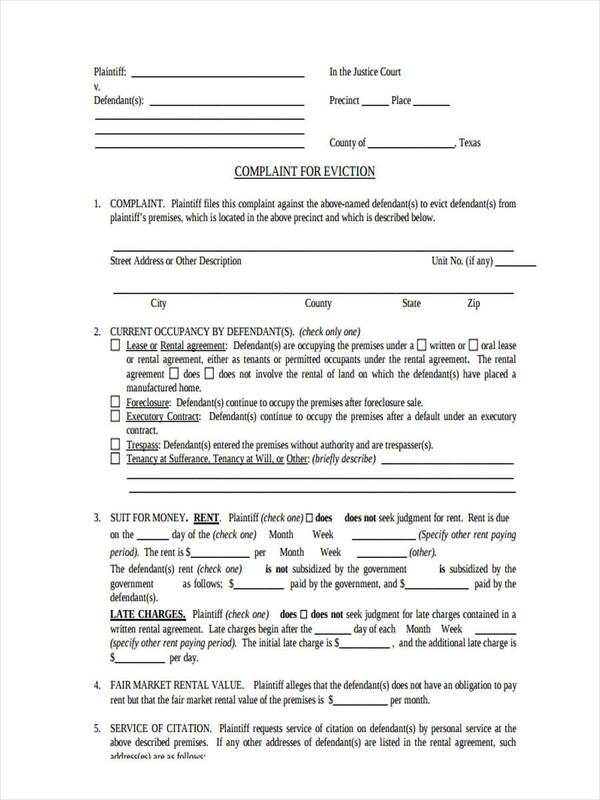 Anyone can submit a complaint form, but the complaint form must be specialized to that type of person, for example, if you are an employee at a certain company and you wish to file a complaint form then you will need to submit an Employee Complaint Form. The reason for the diversity of complaint forms is to segregate the issues accordingly and to organize the responses according to the issues.